Draft: 2011, Los Angeles Dodgers, 6th rd. Full name is Scott A. Barlow…resides in Texarkana, Ark., with his wife, Klancy ... Graduated from Golden Valley High School in Santa Clarita, Calif., in 2011...named All-Foothill League as a senior, going 7-4 with a 3.17 ERA...set a school record with 17 strikeouts in a game as a junior ... Bypassed a scholarship from Fresno State University when he signed with the Dodgers. Spent all of 2016 in Tulsa (AA), going 4-7 with a 3.98 ERA (55 ER in 124.1 IP) in 24 appearances (23 starts)…earned Texas League midseason All-Star honors ... Held opponents to one or zero earned runs in 12 of his 23 starts (52 percent), including a career-high tying 7.0 shutout innings in a no-decision on Aug. 23 vs. Arkansas. Limited to just 88.2 innings in 2015 due to two DL stints, but went 8-6 with a 3.35 ERA in 19 outings (18 starts) across four levels, including 14 appearances with Rancho Cucamonga (A) ... Made three relief appearances in 2015 for the Glendale Desert Dogs of the Arizona Fall League. Missed the 2012 season due to right elbow surgery. November 19, 2018 RHP Scott Barlow assigned to Gigantes del Cibao. November 5, 2018 Gigantes del Cibao placed RHP Scott Barlow on the reserve list. October 22, 2018 RHP Scott Barlow assigned to Gigantes del Cibao. October 2, 2018 Kansas City Royals recalled RHP Scott Barlow from Omaha Storm Chasers. August 24, 2018 RHP Scott Barlow assigned to Omaha Storm Chasers from Northwest Arkansas Naturals. August 19, 2018 RHP Scott Barlow assigned to Northwest Arkansas Naturals from Omaha Storm Chasers. August 9, 2018 Omaha Storm Chasers sent RHP Scott Barlow on a rehab assignment to AZL Royals. July 3, 2018 Omaha Storm Chasers placed RHP Scott Barlow on the 7-day disabled list retroactive to July 2, 2018. June 17, 2018 Kansas City Royals optioned RHP Scott Barlow to Omaha Storm Chasers. May 28, 2018 Kansas City Royals recalled Scott Barlow from Omaha Storm Chasers. May 4, 2018 Kansas City Royals optioned RHP Scott Barlow to Omaha Storm Chasers. April 28, 2018 Kansas City Royals recalled Scott Barlow from Omaha Storm Chasers. April 21, 2018 Kansas City Royals optioned RHP Scott Barlow to Omaha Storm Chasers. April 20, 2018 Kansas City Royals recalled Scott Barlow from Omaha Storm Chasers. April 18, 2018 Kansas City Royals optioned RHP Scott Barlow to Omaha Storm Chasers. April 17, 2018 Kansas City Royals recalled Scott Barlow from Omaha Storm Chasers. March 13, 2018 Kansas City Royals optioned RHP Scott Barlow to Omaha Storm Chasers. 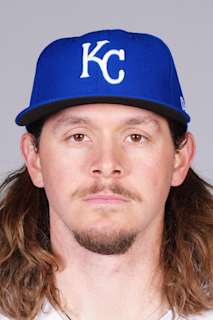 December 7, 2017 Kansas City Royals signed free agent Scott Barlow. November 6, 2017 RHP Scott Barlow elected free agency. August 3, 2017 RHP Scott Barlow assigned to Tulsa Drillers from Oklahoma City Dodgers. July 30, 2017 Oklahoma City Dodgers activated RHP Scott Barlow from the temporarily inactive list. July 27, 2017 Oklahoma City Dodgers placed RHP Scott Barlow on the temporarily inactive list. June 23, 2017 RHP Scott Barlow assigned to Oklahoma City Dodgers from Tulsa Drillers. May 31, 2017 Tulsa Drillers activated RHP Scott Barlow from the 7-day disabled list. May 24, 2017 Tulsa Drillers placed RHP Scott Barlow on the 7-day disabled list. July 27, 2016 Tulsa Drillers activated RHP Scott Barlow. April 6, 2016 RHP Scott Barlow assigned to Tulsa Drillers from Rancho Cucamonga Quakes. March 19, 2016 RHP Scott Barlow assigned to Los Angeles Dodgers. October 22, 2015 RHP Scott Barlow assigned to Glendale Desert Dogs. September 9, 2015 RHP Scott Barlow assigned to Rancho Cucamonga Quakes from Oklahoma City Dodgers. September 7, 2015 RHP Scott Barlow assigned to Oklahoma City Dodgers from Rancho Cucamonga Quakes. August 4, 2015 RHP Scott Barlow assigned to Rancho Cucamonga Quakes from Great Lakes Loons. July 30, 2015 RHP Scott Barlow assigned to Great Lakes Loons from Rancho Cucamonga Quakes. July 17, 2015 Rancho Cucamonga Quakes sent RHP Scott Barlow on a rehab assignment to AZL Dodgers. May 22, 2015 Rancho Cucamonga Quakes placed RHP Scott Barlow on the 7-day disabled list. April 7, 2015 RHP Scott Barlow assigned to Rancho Cucamonga Quakes from Great Lakes Loons. June 19, 2014 RHP Scott Barlow assigned to Great Lakes Loons. June 11, 2014 RHP Scott Barlow assigned to Ogden Raptors from Great Lakes Loons. April 29, 2014 RHP Scott Barlow assigned to Great Lakes Loons from Ogden Raptors. June 16, 2013 RHP Scott Barlow assigned to Ogden Raptors from AZL Dodgers. September 26, 2012 AZL Dodgers placed RHP Scott Barlow on the 60-day disabled list retroactive to June 20, 2012. September 20, 2012 Scott Barlow roster status changed by AZL Dodgers. August 16, 2011 RHP Scott Barlow assigned to AZL Dodgers from Los Angeles Dodgers. August 15, 2011 Los Angeles Dodgers signed RHP Scott Barlow.